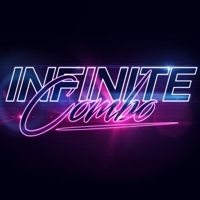 Infinite Combo is a collective of San Diego-based musicians, whose fusion of jazz, funk, and rock meets the familiar melodies of classic video games. Formed in 2015 by trombonist Chet Brown, Infinite Combo is coming at you hard-hitting grooves and moving melodies from your favorite video games. We’ve got favorites from Mega Man, Super Mario, Zelda, Castlevania, and more!